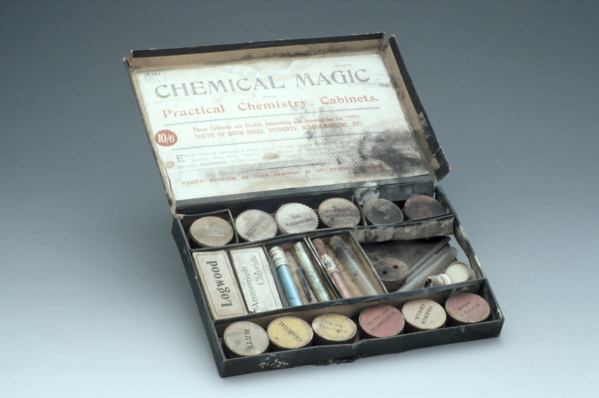 “Chemical Magic” Chemistry Set, London, c. 1920 (Inv. 92768). Would you play with this chemistry kit? Story: My friend and I would go into her dad’s garden shed and play with her brother’s chemistry set. We knew we shouldn’t so we had to wait till no-one was at home. I think we were about 10 years old. I came joint first in my chemistry exam at grammar school but chose not to take chemistry and further! I eventually married a chemistry teacher.